Are you a planning a visit to Gold Coast Surgical Hospital? Here is all of the information you need to know. Rest period is 1pm until 3pm. To visit outside these times, please make arrangements to see the nurse unit manager on the appropriate floor. 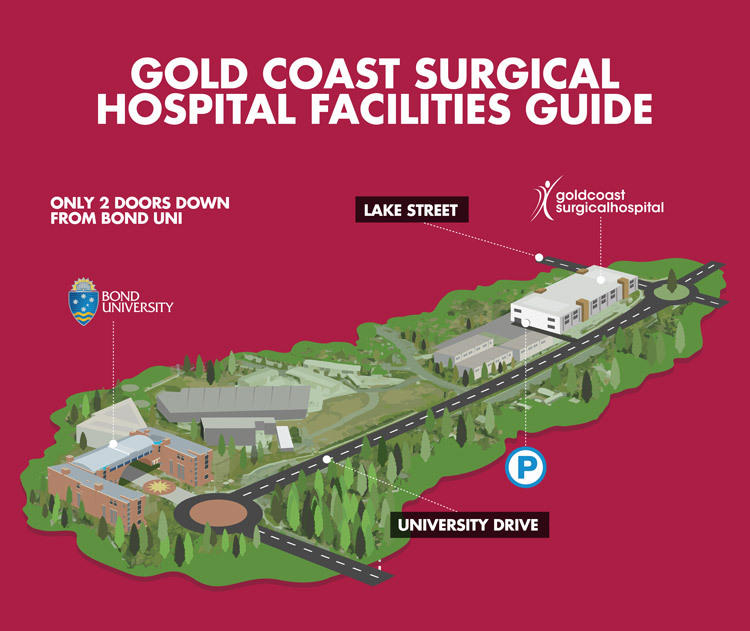 Gold Coast Surgical Hospital is located at 2 Lake Street Varsity Lakes. It is ideally located between Bond University and the Varsity Lakes shopping precinct. Limited on-site parking is available but off-street parking is available in close proximity. Bus route 765 travels from Varsity lakes Train Station to Gold Coast Surgical Hospital.